Facebook continues to be a conduit for connecting people with one another around the world, while also allowing businesses to communicate with their existing and potential customers. As a medical professional, it’s important to use Facebook as a channel to interact with your patients but with the right conduct in mind. A medical professional should use a variety of marketing channels to build up a community around your practice, hospital or other type of medical facility. Social media is an important channel for building this connection with your customers by organically reaching them online where they are most active. As of today, over 1 billion people are on the Facebook platform making it the social media network with the largest audience. There are multiple social networks medical professionals should be active on, but since Facebook is the social channel with the largest following; it’s prudent to understand how to present yourself on this network first. Once you’ve established your personal conduct and marketing strategy on Facebook as a doctor or other healthcare professional, you can then begin to roll out how you’ll present yourself on Twitter, LinkedIn and other major social networks. It’s always important to have a structure approached to how you’re marketing yourself and in turn, your organization which is why you should focus on one network at a time before adding another social channel to be active on. Are you a nurse? A doctor? A therapist? Regardless of what type of medical professional you are, it is important to accommodate the needs of your patients and share your specific expertise before you begin connecting with current or former patients on Facebook. Whether you’re active on your own personal Facebook profile or on a Facebook page for the larger organization you’re employed by, share news, tips and advice about your expertise whether it’d be fitness tips, ways to improve mental health, how to increase your metabolism etc. As a medical professional, it’s your task to better the health of your patients and Facebook can help further echo your cause. Use Facebook and eventually other social channels to share actionable knowledge about your health care expertise. Continue to share this information publicly with your growing network to match the expectations your current and future patients have about you as a professional or about your organization as a whole. A current patient will certainly find more value from you if you continue to deliver advice online as well as offline. At this same time, it’s still okay to share personal content unrelated to your career on Facebook, just as long as the right people see this content. This can be controlled by editing the privacy of each post shared on the network. To ensure that the content you’re sharing on Facebook is available publically to patients or privately to your personal network, visit the screen above when sharing career oriented material. Anything posted to Facebook can be set as public, private, only viewable to certain friends and to a few other options by clicking on the globe at the bottom right box where you share content. Share any content that could benefit your patients to the public from your Facebook profile. If you’re using a Facebook page, all the content shared on that page is public by default. It’s critical that you set boundaries in terms of how you interact with patients on Facebook and social media from the beginning, before connecting with them or suggesting they like your Facebook page. When it comes to how you interact with current, future or former patients on Facebook, always respect their privacy and personal space. On Facebook, your main goal as a medical professional is to provide valuable content and spur interesting discussions about your particular expertise in healthcare that will help remind your community of your in-depth knowledge on the subject for the next time they may need your medical advice. The social network acts as a way of getting valuable expertise you have about health care to your patients in their newsfeed where they are active almost everyday. Communicating with your patients too frequently on Facebook or other social networks can be extremely off putting, uncomfortable and could completely tarnish your reputation. Follow these rules to establish clear boundaries surrounding your social media use that will help strengthen your relationships and avoid offending anyone in your community. 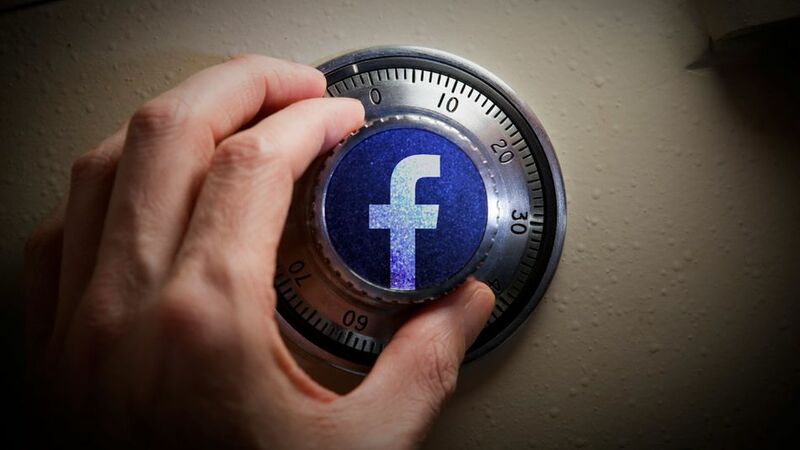 *Keep your Facebook account clean and appropriate at all times, even when it comes to private posts. *Always share accurate information with your community. *Respect the privacy of your patient’s medical history at all times. *If you’re ever in doubt when it comes to posting content, then wait to share that content and revisit it at another time. *With privacy in mind, never identify anyone as a patient. Treat your community as neutral to avoid any conflict of interest. *Ask permission to share content that isn’t yours to make sure you or your organization has the right to distribute it to your audience. *Never ignore the requests of your community to ensure you’re respecting their needs and interests at all times. Listen to the feedback you’re receiving to make sure you’re making the most impact from your efforts. *Educate yourself on Facebook best practices on a consistent basis to keep your knowledge of the platform and your community fresh. *Let your patients and community members do a majority of the friending and liking to ensure it’s on their terms and doesn’t encroach on their personal space. Accept friend requests on a case-by-case basis and use your better judgment on who you should associate with online and who you shouldn’t. 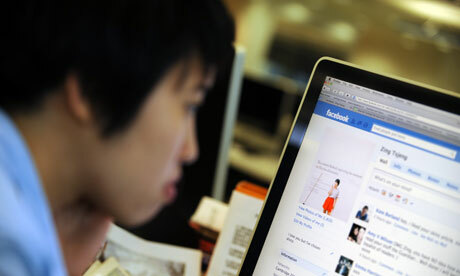 Like mentioned above, privacy and legal concerns should be at the top of your mind when using Facebook professionally. Most medical professionals are familiar with Health Insurance Portability and Accountability Act (HIPAA), which requires that all patient related information be kept completely confidential. In terms of Facebook, it’s illegal to even identify someone as a patient or reference anything related to their medical history. Discuss content on your Facebook and social profiles that isn’t patient specific to avoid any conflicts that break the doctor and patient confidentiality. Stick to publishing tips, advice, industry news and other content that will help express your healthcare expertise without jeopardizing your career. Anything posted about your day to day as a medical professional could be used against you in a malpractice case, always be thoughtful about what you are and aren’t posting on Facebook. Do not offer clinical advice on Facebook under any circumstance, always instruct a former, current or future patient to contact you or the proper medical professional to schedule a consultation appointment. Craft a response to these type of requests on Facebook that clearly directs people to contact you to schedule a consultation. By setting up a set of guidelines to follow in this specific circumstances, you’ll save time and avoid risking any potential conflicts. The University of Pittsburgh Medical Center (UPMC) uses a few different responses to medical questions on their Facebook page to help avoid any potential issues. Take their example and craft your own response to any moments where clinical advice is being requested on Facebook or elsewhere. Using Facebook on a regular basis to build continued visibility around your medical profession is a form of content marketing. By continually sharing content around your expertise, you’ll begin to build expectations with your audience as to what type and what quality of content you’ll release in the future. By sharing content that’s valuable to your audience on Facebook overtime, you’ll be able to build upon existing patient relationships and help spur new connections. As compared to traditional advertising, content is often viewed as more trustworthy by consumers and one of the most effective ways to get in front of these users is on Facebook. When creating content, focus on how it’ll be presented on Facebook to best match the intricacies of the social network. Decide which of the content shared on Facebook will live solely on the platform, while others will be links to content on a blog, website or other social properties. Define the right balance for your Facebook presence suited to the time and resources you have available. All content shared on Facebook should have a visual aspect, concise copy and a call to action with each post. For instance, share a fitness tip on Facebook with a photo of the tip in action, about 85 characters explaining the fitness tip and possibly a call to action to read more about it on your blog. By combining all those key elements in different combinations, your Facebook posts will get more interactions on the social platform in the form of likes, comments and shares and as a result, will hopefully make your network of connections much stronger. There is a fine line between being both appropriate and personal on Facebook as a medical professional. By being appropriate, you’re limited in how personal you can be with your connections on the network but it’s possible. Don’t be the first to reach out to your patients publicly on Facebook, but instead extensively monitor their feedback on the content you’re sharing. You can remain appropriate by not identifying that any one is your patient and not releasing any other sensitive data you’ve collected from your network. However, to make the feedback you’re receiving from your network useful and add a personal touch to your communication on Facebook, simply listen. Your network of Facebook friends or fans will leave comments, messages and write on your timeline with feedback about your content, the industry and your services. If you’re actively listening to this feedback, you’ll be able to detect patterns from your Facebook connections that can help inform what type of information is shared in the future, which type of content to prepare in the long-term and more. Personalization across any profession is all about catering to the specific needs of different customers, which in this case is your patients. Give your patients the information they’re looking for on Facebook and you will continue to see increased interactions on your content and more trust between your network in terms of your credibility. The more you listen and react to the constructive feedback you receive, the more excited your network of Facebook connections will be to interact with you on Facebook again. The most ideal circumstance is being recognized as a reliable source of information on a particular healthcare topic and that you really listen to the input of Facebook friends and fans. How are you presenting yourself on Facebook? Are you using the social network to build stronger connections with coworkers and patients or just using the channel to browse photos of friends and family? Feel free to share your thoughts on the subject in the comments below. Images courtesy of Net Connexion, The Guardian, Life Simply Fabulous, Mashable & Ky Olsen of Flickr. Closed Loop Referral Management and Tracking: Achieving Care Coordination!